Two or more elements combine to form compound. There are two types of compounds- Organic Compound and Inorganic Compounds. Organic compounds are the one which are made up of carbon and hydrogen. The bond formed by sharing a pair of electrons between two atoms are known as Covalent Bond. Carbon forms covalent bond. Carbon exists in two forms- as free state and as combined state. 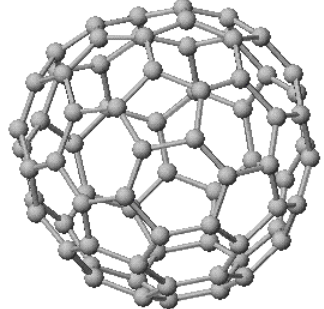 Free form of carbon is found in graphite, diamond and fullerene. In combined state, carbon exists as Carbon-dioxide, Glucose, Sugar etc. Different forms of an element that has same chemical properties but different physical properties are known as Allotropes. There are three allotropes of carbon- diamond, graphite and fullerene. Diamond exits as three-dimensional network with strong carbon-carbon covalent bonds. Diamond is hard in nature with high melting point. It shines in presence of light and it is a bad conductor of electricity. The most common use of diamond is in making jewellery. It is also used in cutting and drilling tools. Graphite is made from weak van der wall forces. Each carbon atom is bonded with other three carbon atoms in order to form hexagonal rings. It serves as good conductor of heat and electricity. It is used as dry lubricant for machine parts as well as it is used in lead pencils. It is a hollow cage which exits in the form of sphere. Its structure is similar to fullerene. But along with hexagonal rings, sometimes pentagonal or heptagonal rings are also present. Catenation and tetravalency are the two important properties of carbon. Catenation is a property of carbon by which carbon atoms can link one another via covalent bond and can form long chains, closed ring or branched chains etc. Carbon atoms can be linked by single, double or triple bonds. Carbon has a valency of 4 due to which it is known to have tetravalency. Due to this one carbon atom can bond with other 4 carbon atoms, with other atoms also such as Oxygen, Nitrogen etc. Compounds which are made up of carbon and hydrogen they are known as Hydrocarbons. There are two types of hydrocarbons found - Saturated Hydrocarbons and Unsaturated Hydrocarbons. 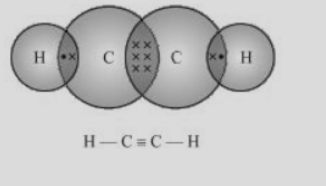 Saturated Hydrocarbons consist of single bonds between the carbon atoms. For Example, Alkanes. 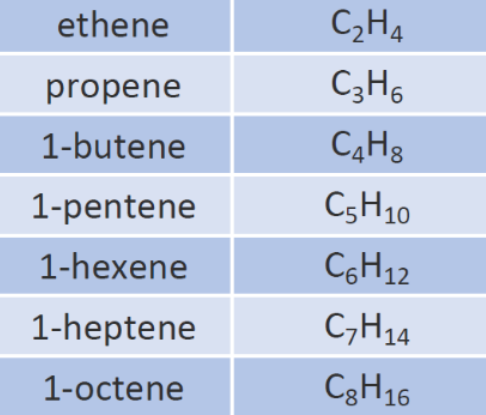 Alkanes are saturated hydrocarbons represented by a formula, CnH2n+2. One of the hydrogen atoms in hydrocarbon can be replaced by other atoms according to their valencies. 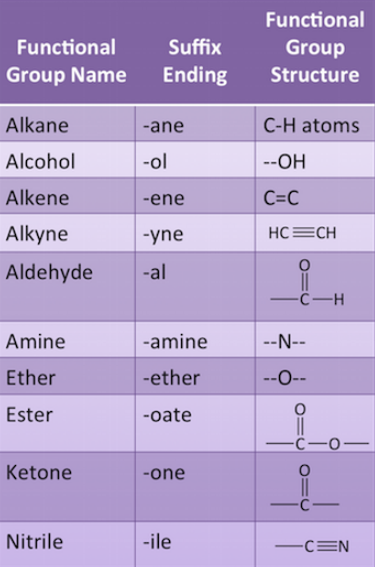 The atoms which decides the properties of the carbon atoms, are known as Functional Groups. For Example, Cl, Br, -OH, Aldehyde, Ketone, Carboxylic Acid etc. Series of compounds in which same functional group substitutes for the hydrogen atom in a chain of carbon. Then functional group can be indicated by suffix or prefix. 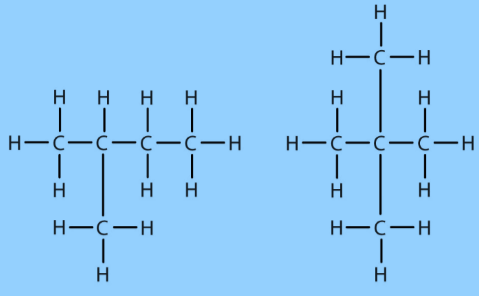 Cyclic hydrocarbon is designated by prefix cyclo. Carbon along with its compound is used as a fuel as it burns in presence of oxygen to release energy. Saturated hydrocarbons produce blue and non-sooty flame whereas unsaturated hydrocarbons produce yellow sooty flame. Alcohol can be oxidized to aldehydes whereas aldehydes in turn can be oxidized to carboxylic acid. Oxidizing agent such as potassium permanganate can be used for oxidation. Hydrogenation of vegetable oil is an example of addition reaction. Addition of hydrogen in presence of catalyst such as nickel or palladium. This converts oil into ghee. When one atom in hydrocarbon is replaced by chlorine, bromine, etc. this is known as Substitution Reaction. Ethanol is a volatile liquid with low melting point. It reacts with sodium to form sodium ethoxide. This above reaction is used to test the presence of ethanol by the evolution of hydrogen gas. Dehydration of ethanol in presence of hot sulphuric acid forms alkene. Ethanoic Acid/Acetic acid when reacts with ethanol it forms an ester. Ester can be identified by its sweet smell. Reaction of ester with strong base is used to form soap. This is known as Saponification. Acetic acid also reacts with strong base to form sodium acetate and water. Sodium or potassium salt of carboxylic acid is known as Soap. They work most effectively in soap water. Detergents are sulphonate or ammonium salt of long chain of carboxylic acid. They can work effectively on soft as well as hard water. Cleansing action of soaps and detergents is due to ability to minimize the surface tension of water, to emulsify oil or grease and to hold them in a suspension of water. When soap dissolves in water, it forms soap anions and soap cations. The hydrophobic part of soaps and detergents are soluble in grease and hydrophilic part is soluble in water. When dirt and grease are mixed with soap water, soap molecules arrange them in tiny clusters known as Micelle. The hydrophilic part sticks to the water and form outer surface of the micelle and hydrophobic part binds to oil and grease.